You can't live in Georgia without visiting the Margaret Mitchell House at least once, and of course, being required to see the movie based on her famous manuscript. I saw the film for the first time at the Coca Cola Summer Theater series playing at the Fox Theater. I am Margaret Mitchell, author of the book Gone With the Wind of which you wrote so kindly in the Chronicle on May 13. It is my first book and I am so new and green at the business of authoring that I do not even know if it is good form for an author to write to a critic. But your column gave me so much pleasure and happiness that I have to write you and say thank you. I suppose you would call my reactions "pleasure and happiness" even if I did have to go to bed with a cold pack on my head and an aspirin after I read your words. God knows I'm not like my characters, given to vapors and swooning and "states" but I was certainly in a "state." I have always been able to bear up nobly under bad news but your good news floored me. I suppose it was because it was so unexpected. 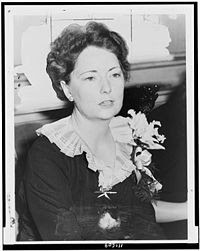 Margaret Mitchell started the book between 1925 and 1926 and laid it aside around 1928. She found it "lousy" and said she had forgotten it. Years later, while hosting a publisher from MacMillan, who was scouring the South for promising writers, he found Margaret intriguing. Writing for the Atlanta Journal Constitution at the time under the name Peggy Mitchell, he asked her if she had ever written a book to which she declined. An acquaintance overhearing the exchange, laughed and remarked, "Imagine, someone as silly as Peggy writing a book." Margaret went home fuming, dug out her disheveled (an unfinished) manuscript, and gave it to him. He bought it before it was even completed, and she finished it in 1936. Little did she know, when she penned this letter, she would win a Pulitzer for this work. The book would become one of the best selling books of all time. And the movie adaption , released in 1939, would become the highest grossing movie in Hollywood history, and would be nominated for ten Academy Awards. Did you read her note? Her humility is overwhelming. You would be pressed to find a more humble and unassuming author today. In such a sincere and sentimental letter, she conveys what it means to truly be thrilled. Not with her craft, or the path she is about to embark, but in a favorable reaction. There is very little humility in writing now. I will willingly and gleefully email friends and family and tell them "Read my blog today. It is hi-lar-i-ous!" That's not exactly modest. The wand of humility that waved over Margaret Mitchell would be a needle in a haystack today. Bravo to Margaret Mitchell. She not only wrote one of the quintessential novels of all time, but she behaved so honorably. I will try to do this next time I am cracking up laughing over my own blog but I can't make any promises. I have been to this museum. It's actually the only thing I was able to do in Atlanta on a business trip six years ago, since my hotel was nearby this charming establishment. I loved it, not for what was in the museum but for what the tour guide told us. Apparently Miss Mitchell lied in her letter and she was like the Scarlett in her days. Our guide said she was quite the party-animal and entertainer. She may be like Melanie Wilkes in her humility but she had the sassiness and style of my beloved heroine. I'm so glad I named my little girl Vivian after her most famous work of art. A real downward facing dog?